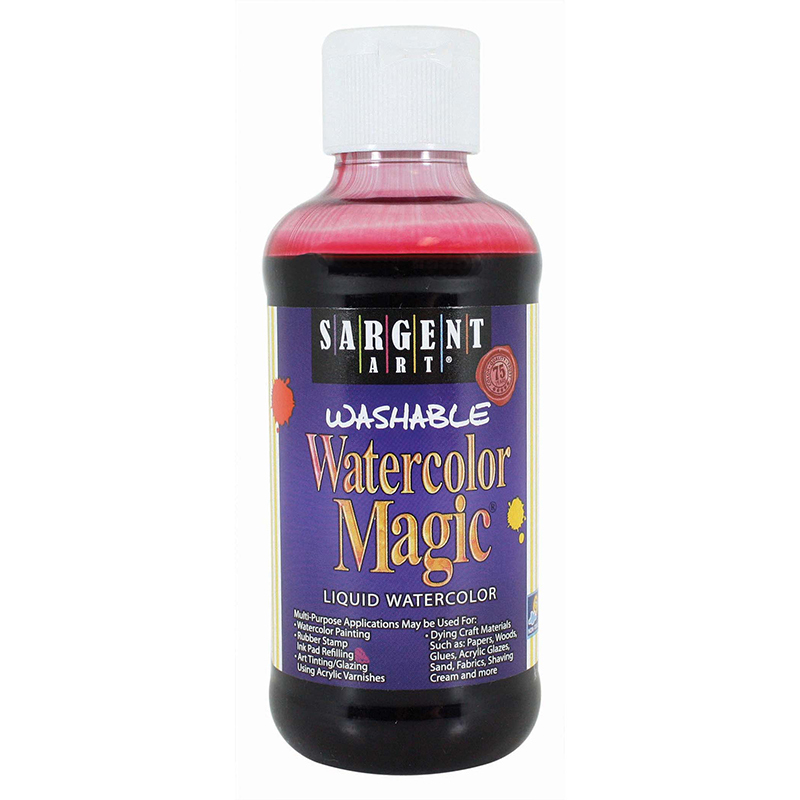 Sargent Art Washable Watercolor Magic is unique to the market because we've already added the water for you. Washes from more fabrics and surface with simple soap and water, may stain some porous surfaces. One bottle can last up 100 times as long as a watercolor cake. To make it go even further, dilute with water. AP certified, conforms to ASTM D 4236, safe and non-toxic. 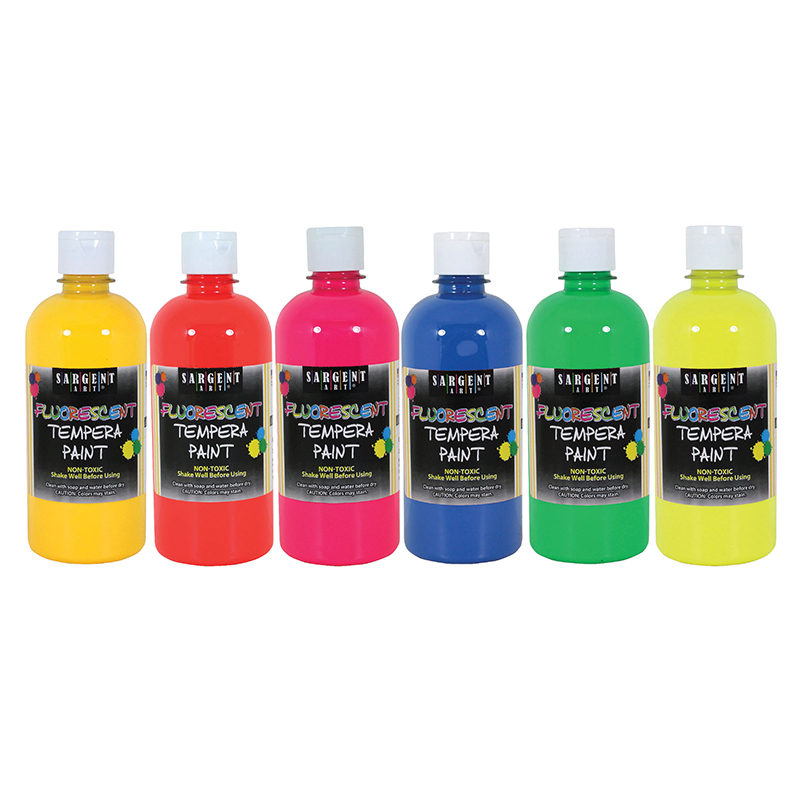 Each bottle includes 8 oz of red watercolor paint. 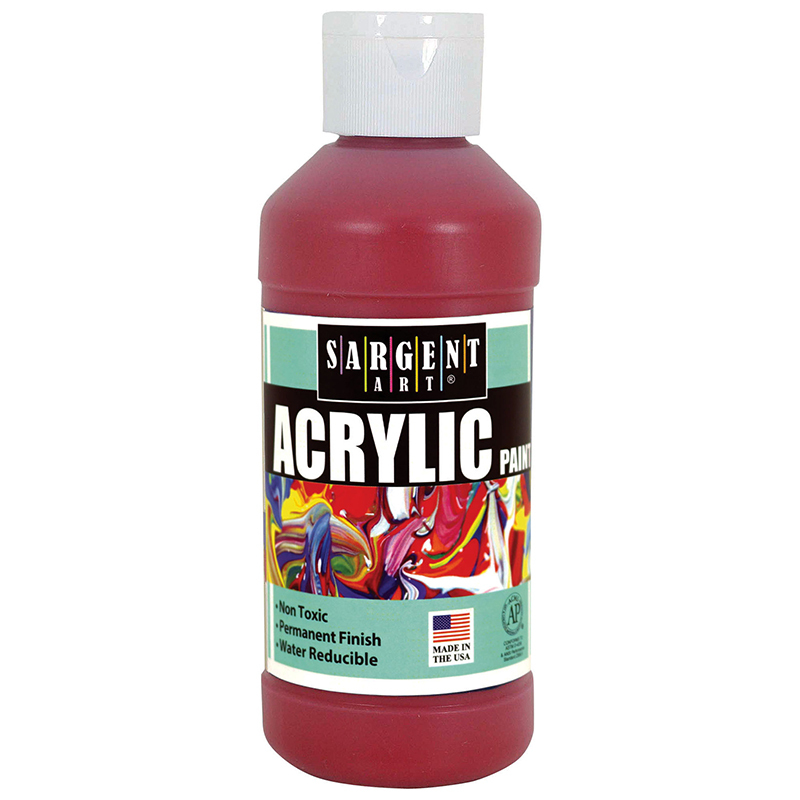 The Sargent Art Watercolor Magic 8 Rd can be found in our Paint product category within the Arts & Crafts.